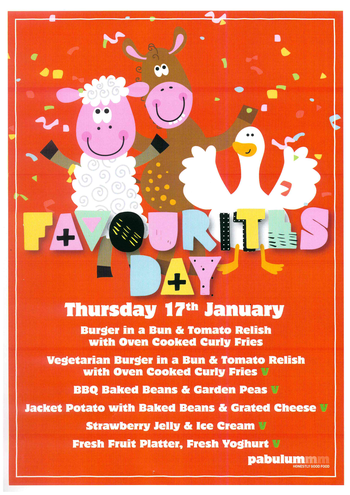 If your child is normally packed lunch and would like a school meal on this day, please send in a payment of £2.10 (Payment for Years 3 to 6 only). Kindly also ask your child to tell the class teacher that s/he is having a school meal. Thank you.